"Addicted to Bass" is a song by Puretone and Amiel Daemion, featuring Daemion on vocals. It reached the top 20 in the Australian charts in 1998. It originally appeared on Abrahams' 1998 album Sweet Distorted Holiday, and was featured again on the 2002 album Stuck in a Groove—credited to Abrahams' alias Puretone. The original release reached number 15 in Australia and number 27 in New Zealand while the 2002 release reached number two on the UK Singles Chart and number one on the US Dance Club Songs charts. In 2015, the song was listed at number 14 in In the Mix's '100 Greatest Australian Dance Tracks of All Time' with Nick Jarvis saying "With its memorable, sing-along vocals, nudge-wink drug references and – best of all – that monstrous pre-dubstep bassline paired with scattershot jungle breakbeats, it was a perfect fusion of radio-friendly pop smarts and club madness". The original 1998 music video featured Amiel at GL Pro Sound, a high-end car audio store in Essendon, Victoria, sitting in a car, with installers working on a Holden VR Commodore and a Ford EF-EL Falcon, installing various audio equipment. The Soundstream SPL series woofers were often shown operating on the heavy bassline of the song. Rockford Fosgate amplifiers, Image Dynamics speakers, JL Audio woofers, and Alpine head units were also featured. Josh Abrahams is shown performing on the decks on the screen of the Alpine headunit. The European Music Video was inspired by the 1979 movie Mad Max, filmed using the same roads in the You Yangs region of Australia and also featured actors Megan Dorman and Kick Gurry. The video was conceived and directed by Jolyon Watkins (Exit Films, Australia) and was a finalist for music promo of the year of the 2002 Muzik Magazine awards. Abrahams met Amiel in 1997. They collaborated in the writing and recording of his album Sweet Distorted Holiday released in 1998 and the single was credited to Josh Abrahams and Amiel Daemion. The song became a hit when released on Shock Records in 1998 reaching the top 20 of the Australian charts and eventually being certified. The Australian Record Industry Association listed the song as its 100th best-selling single for 1998 in its end of year chart. The song was also popular in the Triple J Hottest 100, 1998 being voted at number 16 and appearing on the compilation CD. The song also enjoyed a strong critical response. It was nominated for the Australian Performing Right Association "Song of the Year" in the awards held in May 1999 but lost to "Buses and Trains" by Bachelor Girl. Abrahams was nominated for five Australian Recording Industry Association Awards in 1999 including "Record of the Year" and "Music Video of the Year" for "Addicted to Bass". While "Addicted to Bass" lost out to "The Day You Come" by Powderfinger in the "Record of the Year", he won in the "Best Independent Release" and "Best Dance Artist Album" categories for Sweet Distorted Holiday. The song gradually became popular in dance clubs in the UK and received a positive response in the media. UKmix.net wrote: "This slice of Australian vocal drum & bass has been tearing up dancefloors, radio stations, and particularly music television for some time now." The song was credited to Puretone to avoid confusion with Josh Abraham who has worked with Limp Bizkit and Staind. The song was officially released in the United Kingdom in January 2002. In its first week of release, it debuted at number 68 on the UK Singles Chart. The next week, it shot up to number two, narrowly being beaten to the top spot by "More than a Woman", a posthumous number one for Aaliyah. The song also reached number 18 in Ireland in January 2002 and was a modest hit in the rest of Europe. 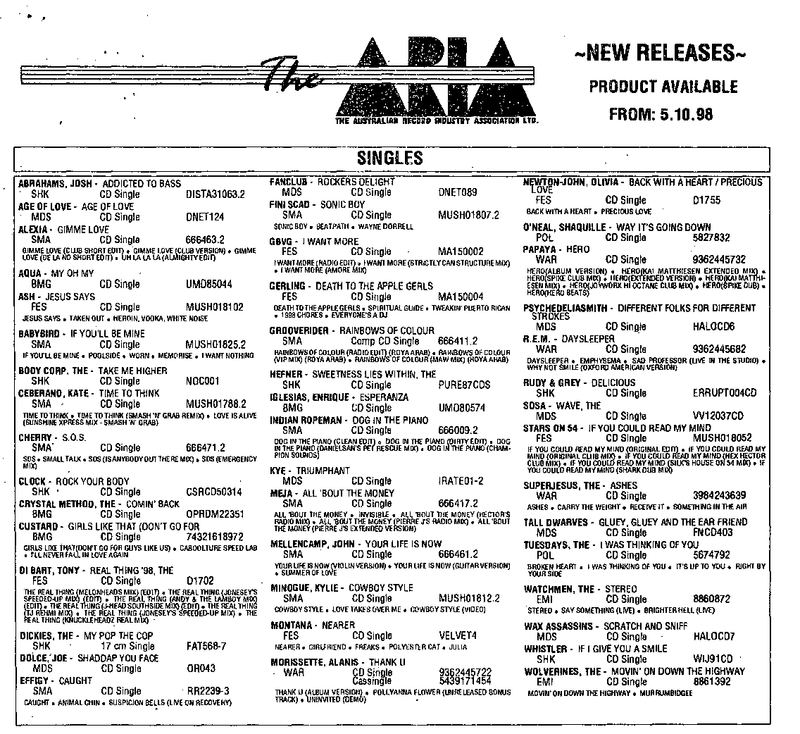 ^ "New Releases – Product Available from: 5.10.98 > Singles (from The ARIA Report Issue No. 448)". Imgur.com (original document published by ARIA). Retrieved 28 August 2017. ^ AAP, "Complete List of 1999 ARIA Award Winners"
^ "Australian-charts.com – Josh Abrahams and Amiel Daemion – Addicted to Bass". ARIA Top 50 Singles. Retrieved 22 January 2017. ^ "Charts.nz – Josh Abrahams and Amiel Daemion – Addicted to Bass". Top 40 Singles. Retrieved 22 January 2017. ^ "Australian-charts.com – Puretone – Addicted to Bass". ARIA Top 50 Singles. Retrieved 22 January 2017. ^ "Ultratop.be – Puretone – Addicted to Bass" (in Dutch). Ultratop 50. Retrieved 22 January 2017. ^ "Offiziellecharts.de – Puretone – Addicted to Bass". GfK Entertainment Charts. Retrieved 22 January 2017. ^ "The Irish Charts – Search Results – Addicted to Bass". Irish Singles Chart. Retrieved 13 May 2018. ^ "Official Scottish Singles Sales Chart Top 100". Official Charts Company. Retrieved 13 May 2018. ^ "Swisscharts.com – Puretone – Addicted to Bass". Swiss Singles Chart. Retrieved 22 January 2017. ^ "Official Singles Chart Top 100". Official Charts Company. Retrieved 13 May 2018. ^ "Official Dance Singles Chart Top 40". Official Charts Company. Retrieved 23 November 2018. ^ "Official Independent Singles Chart Top 50". Official Charts Company. Retrieved 13 May 2018. ^ "Puretone Chart History (Dance Club Songs)". Billboard. Retrieved 13 May 2018. ^ "ARIA Charts - End Of Year Charts - Top 100 Singles 1998". ARIA. Retrieved 13 May 2018. ^ "The Official UK Singles Chart 2002" (PDF). UKChartsPlus. Retrieved 23 November 2018. ^ "ARIA Charts – Accreditations – 1998 Singles". Australian Recording Industry Association. Retrieved 26 November 2016. ^ "British single certifications – Puretone – Addicted to Bass". British Phonographic Industry. Retrieved 13 May 2018. Select singles in the Format field. Select Silver in the Certification field. Type Addicted to Bass in the "Search BPI Awards" field and then press Enter. Everything2.com article on "Addicted to Bass"
Vimeo.com | Addicted To Bass Music Video The Mad Max inspired promo for the UK release.